Pool Services Fort Lauderdale Will Keep Your Pool Always In Constant Readiness! - Fort Lauderdale Pool Service – Fall in Love with your pool again! Will Keep Your Pool Always In Constant Readiness! If you’re in the mood for a wet splash, your swimming pool is the best place where to get it. The sparkling blue water is always inviting and several laps of continuous freestyle strokes will fully satisfy your daily regimen. Pool Services Fort Lauderdale will keep your pools truly clean every time you want to use it. We have several pool-in-place cleaning and maintenance measures to ensure that nothing will interfere with your quality time. 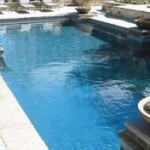 Pool Services Fort Lauderdale is always on top of every situation no matter what condition your pool is in. Is your budget stopping you from getting at least the basic pool cleaning requirements? Let us at Pool Services Fort Lauderdale help you solve the problem. There are many ways to get your pools clean even with a tiny budget and still enjoy the amenities of a well maintained pool. What you need is a system where you can do the easy jobs while we do the more technical ones. Give our Pool Services Fort Lauderdale technicians time to come up with a working plan and see what they can do. I’m sure it’s going to work nicely. Leaving your pools unattended will give you more headaches than you can imagine. Your pool will find itself home to all kinds of contaminants and you won’t even know the color of its water anymore. If you feel that you don’t have the money to use your pool because of extreme budget crunch, you can have it closed temporarily. Pool Services Fort Lauderdale will help you do it properly. Pool Services Fort Lauderdale will drain the water entirely; do the necessary clean up, cover equipment, and the entire pool. Its better this way than leaving it open to all kinds of pollutants and pathogens. Then when you’re ready to use it again we will also do the opening or restarting. Meanwhile you can pay us a token fee for maintaining your filters, heaters, pumps, chlorine dispensers, and other pool equipment. Pool Services Fort Lauderdale technicians will visit your place from time to time for this purpose. Aqua Buddy-Pool Services Fort Lauderdale will keep your pool not only a place where your family and friends can enjoy a nice, cool dip but also an attractive decorative centerpiece for your outdoors. Pool Services Fort Lauderdale will keep both the interior and exterior parts of your pool well cleaned. The entire pool will look neat and presentable all the time. Everything to make your pool perfect in all aspects will be done with utmost urgency. Every pool cleaning service can claim that they’re experts and experienced. Pool Services Fort Lauderdale personnel are both and more. You may have experienced being given a run around by your previous pool cleaners. You get promises that never get kept. They’d clean your pool in a hurry, half done. This is a smack of what we call unprofessional behavior. Expertise and experience are nothing if professionalism is absent.